Vegetable gardening is a natural way to provide healthy foods for yourself or an entire family. It is a cost-effective, nutritious way to feed everyone. When growing your own vegetables, you can be sure that they are grown in an organic manner, ensuring optimal nutrition for everyone who eats from the garden. Gardening also has other benefits, such as being a helpful way to work exercise into your lifestyle. Victory gardens were planted in the United States during World War II. The government asked people to plant Victory gardens for their families so that commercial canned goods could be saved for use by the soldiers. Families were expected to preserve the produce that they grew in order to feed themselves over time. In most cases, people were eager to do this so the government could better feed the troops. 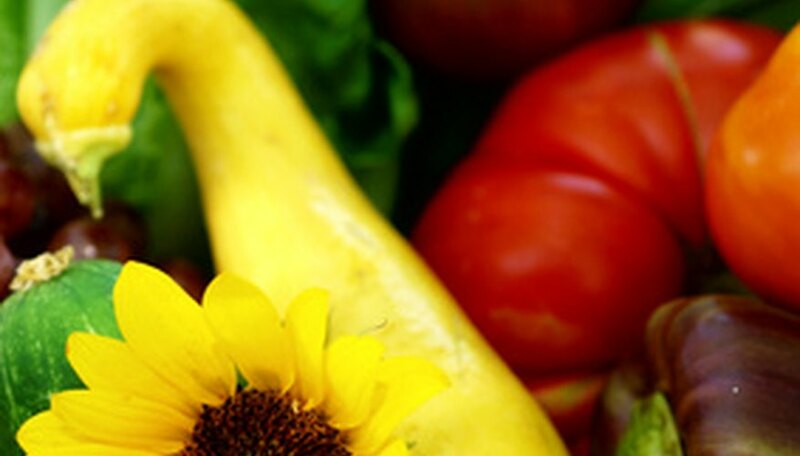 Organic vegetables have a better flavor than those that are commercially grown. They are also much healthier. Chemicals are not used to deter pests, so chemicals are not being consumed by your family. Many of the chemicals used in pesticides and other treatments have poisons in them that should be avoided. Consuming organic foods means that you and your family will be eating more nutritious foods, and planting organic vegetables is not difficult. Some of the most popular vegetables to grow are tomatoes, cucumbers and zucchini. They can be used in many recipes when cooking, or combined with other vegetables to make a salad. Peas and beans are also popular. All of these vegetables can be preserved for winter use. Vegetables can be grown in small spaces, from tiny lots to patios. Square foot gardening is a technique that will net you plenty of food to harvest from a small space. It allows you grow vegetables in the smallest amount of space. This method is based on a grid system. Each square foot can hold a different type of vegetable, allowing you to grow multiple things in one small area. Container gardening is another option. Containers can be placed in any sunny location, from a patio to lining a driveway. Large containers can hold multiple types of vegetables as well, so you can grow much food to eat fresh or preserve. For instance, you can grow tomatoes or cucumbers with an assortment of salad greens. A vegetable garden can also be grown inside, again using containers. A sunny window or two can net you a significant amount of produce. Some people designate a sunny room to growing vegetables, and grow lights can be helpful when doing this. A stand or shelves placed in front of a large window will hold plants, as will hanging some plants from above. This method allows for growing food year-round. Mini greenhouses are available that will extend the growing season, allowing you to grow more vegetables because they can be started earlier in the spring and later into the fall. Cold frames serve this purpose as well, allowing for winter growing of salads greens. Vegetables grow well when organic compost is used in gardening efforts. This compost does not have chemicals that could leach into the vegetables during the growing season. It is mixed with the existing soil when preparing garden beds and plots.